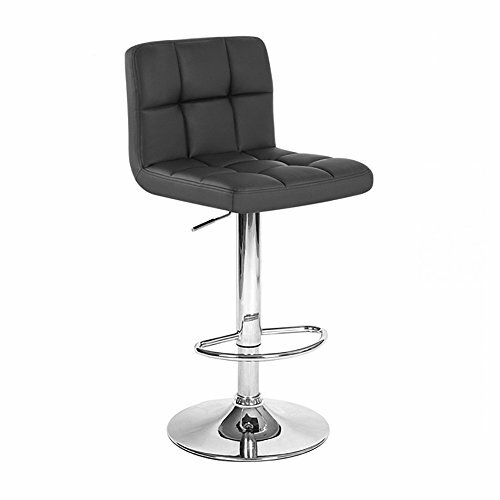 This stool features a sturdy chromed base and a handy lift mechanism with a built in 360° swivel function and footrest that allows the stool to adjust from counter to bar heights. Set up Dimension: 17.5" W x 17.5" D x 35"-43.5"H; Seat width 17.5"; Seat depth 14"; Seat height 21.5"-30"; Seat back height 12"; Cushion height 2"; Chrome base diameter 16.5"
If you have any questions about this product by Roundhill, contact us by completing and submitting the form below. If you are looking for a specif part number, please include it with your message.